Gone Coco for a Chanel Guitar! J Schatz: The Original Egg Bird Feeders! Dear Maoam, Shall I Chew You Out? VOSS: A little splash of Norway. Off To Home Sweet Canada! Rest In Peace: Patrick Swayze! Neverland Ranch: What Would Michael Think? Empire Of The Sun: We Are The People! McDonald's Gluten-Free Buns in North America? I Are Serious Cat - Tomcat Exposed! Today (Tomorrow for some) I am heading down to Berlin, Germany, for 5 days. I will tell you of all the magical things that occurred - and interesting happenings. when I return. 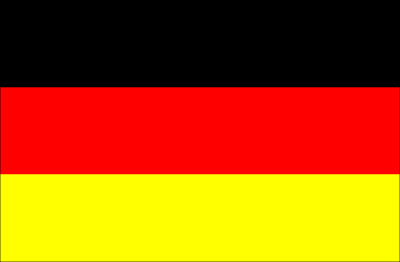 I will try my hardest to post crazy, fun facts about Germany in the meantime!